Our vision at Ankali is firmly rooted in our love for the dark and the loopy. With the oddly titled ‘Archiv Teknologi’ night we will be showcasing our contemporary club favourites with respect to the origins of the sounds in view. First guest of the series, the Italian duo Boston 168, embodies the decade-long development on the south European scene. Their approach revolves around deep love for classic Acid sounds. Around the sonic skeleton evolves psychedelic substance of trance-inducing everlasting trip that won’t allow for any breaks off the dancefloor. After a string of EPs on their own Old And Young imprint, Boston 168 also released an EP on Fabrizio Lapiana’s label Attic and Dustin Zahn’s Enemy Records. 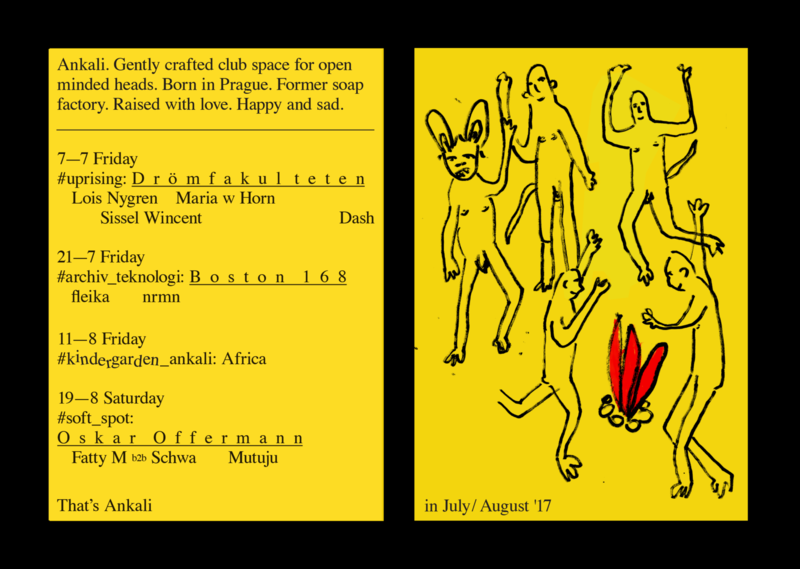 The timing of their Prague debut seems almost perfect as Boston 168 are arriving here only two weeks after their debut live performance at Berghain. Welcome to the black hole. Repping the local scene will be fleika and nrmn (of the crews Polygon and nite vibes respectively), both versed djs with a penchant for extended hallucinatory sets.